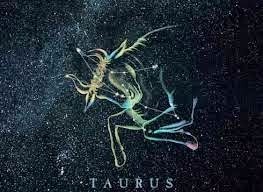 Taurus. Oh, Taurus. In all honesty, this is one of the few signs of the Zodiac that I just don't really jive with. As a true Air sign (Aquarius Sun/Mercury/Venus/Jupiter) with a Water dominant chart (Cancer Rising, Moon/Mars in Scorpio...), there isn't much that I connect with when it comes to the Earthy Bull. My Mother (whom I very much love) is a Taurus cusp (April 21); we've always clashed. But there's a positive side to everything and I'm determined to learn more redeeming attributes about this sign.